A multi-talented artist and musician, Scott Lamlein’s many roles include church musician, composer, piano and pipe organ performer, recording artist, choral conductor, pipe organ repair and rebuilding consultant, and principal of a boutique website design business. Cited by The American Organist magazine as infusing his music with “virtuosic flair and fire,” Scott’s performances, whether organ or piano, bring a unique emotional and spiritual inspiration to his audiences. Listeners find a place of solace, a time of wonder and awe. His playing has been described as inspiring, uplifting, powerful and flawless. In demand as a concert artist, Scott travels near and far taking audiences on musical journeys, with appearances at the Piccolo Spoleto Festival in South Carolina, First Night Worcester (MA), and the Organ Masters Series in Nashua (NH). He has concertized in Germany and Switzerland, as well as in metro Boston and New York. Scott’s concerts have been broadcast in South Carolina, Boston and Worcester. Previously, he served as Artistic Director of the Music Alive! Concert Series, the a cappella chorus, Sacred Voices, and the South Hadley Chorale. Scott has 3 CDs in current release—The Organ at Worship, and In Quiet Joy: Music of Advent and Christmas, and a CD of his piano compositions, entitled Peace. He also is featured on the CD, Great Organs of Worcester. His compositions are often featured as part of the online Jesuit daily podcast, Pray as You Go. As Director of Music and Organist at St. John’s Episcopal Church, in West Hartford, CT, Scott directs a Royal School of Church Music affiliated Youth Choir and semi-professional Adult Choir, as well as presenting organ masterworks in regular Sunday services. 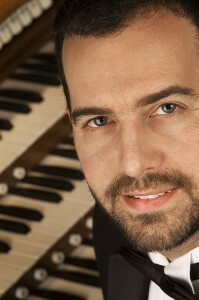 He also serves as artistic director of the church’s Music at the Red Door concert series. Scott’s life-long commitment to the marriage of things technical with things artistic led to his pursuit of web design. This broad knowledge gives his business, North Forty Road Web Design, a keen sensitivity for portraying businesses, individuals, and artist/musicians online in a unique and effective way. Scott, his wife and three sons call Connecticut home. Find out about upcoming and past performances. Talk to Scott today about booking a recital, hymn festival or worship event. Listen to mp3 recordings or view YouTube videos. Listen to Pray as You Go, or see the music listing for those daily podcasts. Purchase Scott’s music in CD or mp3 format: Organ Music – Piano Music. Click here for hi-res press images.